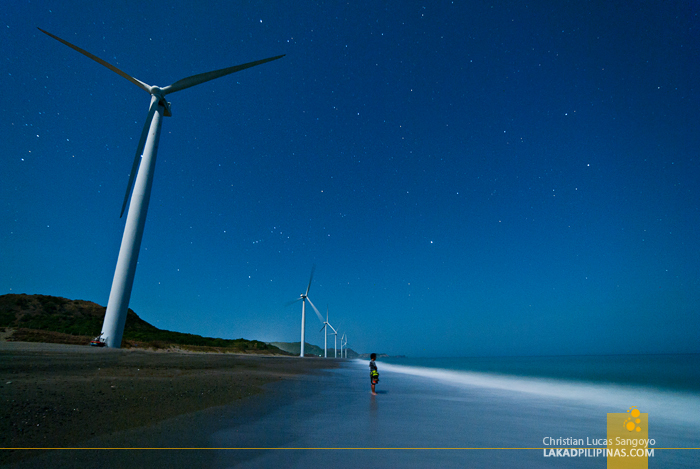 I have witnessed Ilocos’ iconic windmills spinning during the golden hour before twilight. I have seen it twirl its white blades during a storm. And now, due to another day of postponed boat trip to Babuyan Islands and a miscalculation in time planning, I’ve now witnessed these giants spin their propellers against the evening stars. I was speechless, it was simply magical. SO FAR sir! this is the BEST shot! You deserve an award for this.. I wonder what camera you use pero im sure it's at the end of a high end camera! so agree! This photo is simply magical... 5-star in my books! magical indeed! i love it! Kudos to you, Christian. This is by far your best work. I am your fan. Long exposure lang without any filter?